Been lazy and preoccupied with IRL stuff and having to pretend I'm good at dealing with the herp derp. Currently 10,905,979 attack xps. 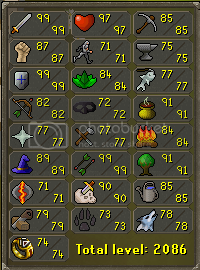 Hopefully 99 next weekend. 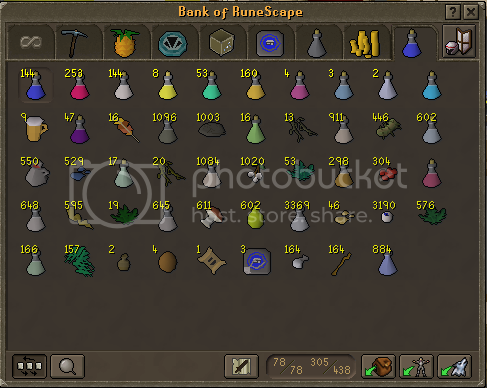 Cleaning herbs for xp weekend. 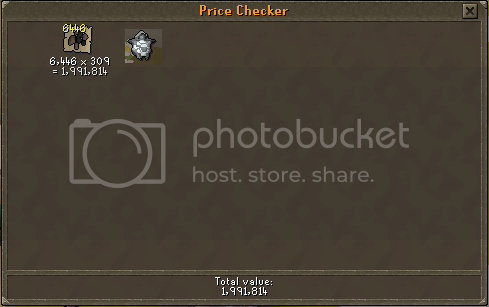 Had about 22 banked for the exact purpose. 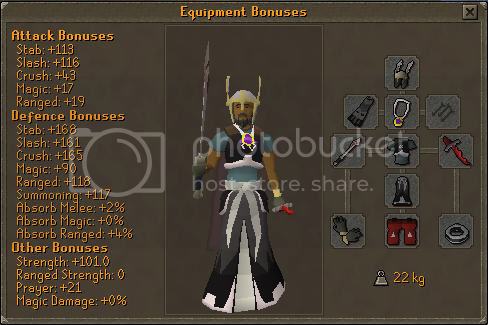 Got 98 Attack/128 combat over night. Feels good having such little distance between where I'm at and another goal. 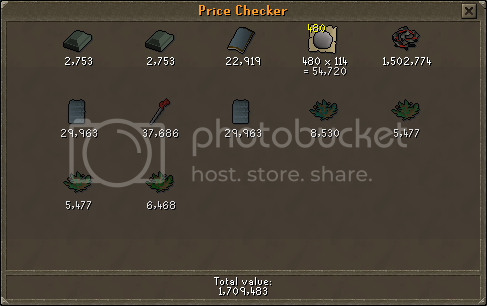 This was my 208 Abyssal Demon task last night. 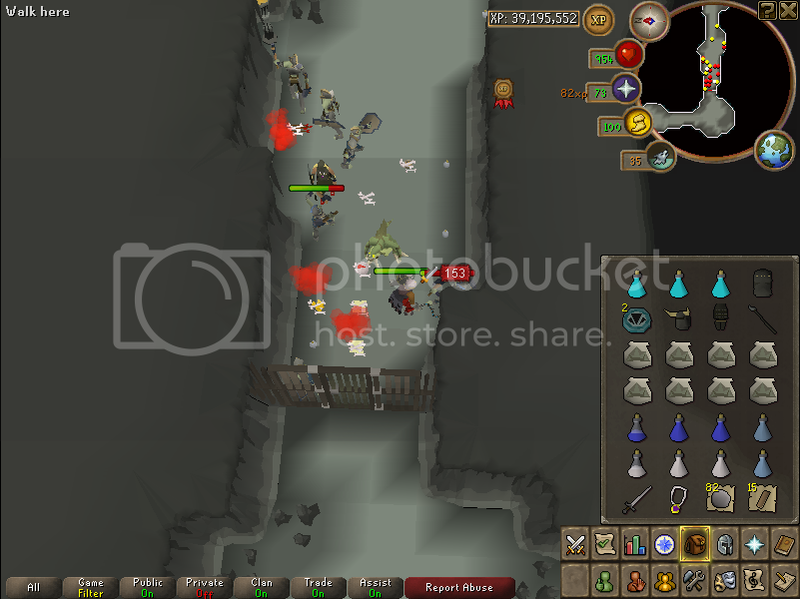 10 kills from the end: Dspear drop. Was expecting it to be a 9th consecutive dry task. Bam. Next kill - whippeh. Happy days 1.5m. I am now 1.1m from 99 and 16k til 90 slayer (another semi-long-term goal of mine). 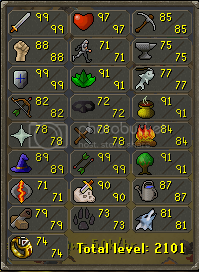 Getting 90 has made me want to slay hard again. Zomg 93. 99. So close. 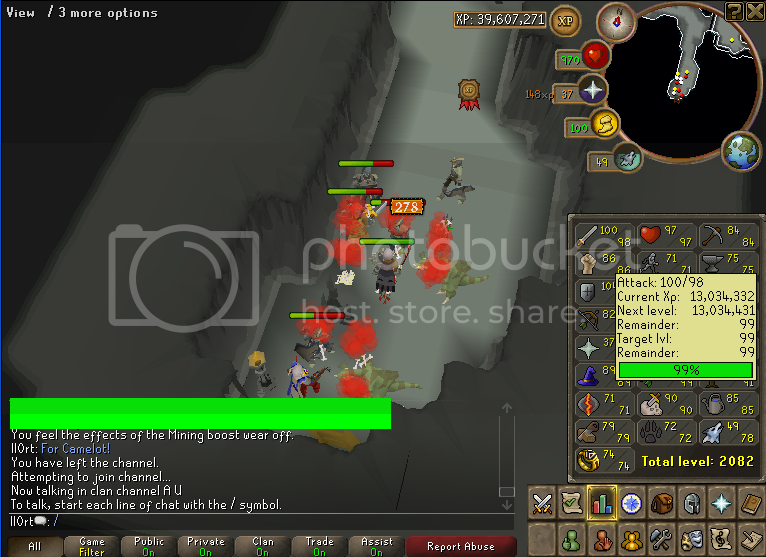 Grats on 90 Slayer, owns my Slayer haha. HP Cape is super hot, and if I end up training strength next, I'll get 99 HP halfway between 95 and 96 strength. But I doubt that is going to happen for a while, I'm likely to struggle through DG a fair bit to atleast get a rapier and then move on to making cash @ frosties etc. 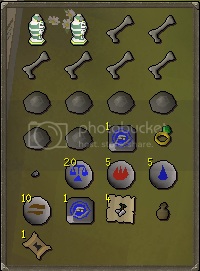 My main goals after dropping this 99 are to get 85 mining (75k off), 85 fm (230k off), 88 farm (800k til) and bust out some theiving levels. 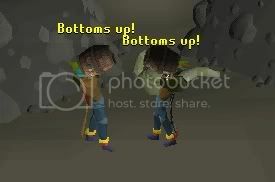 Lagex needs to bring back a sleeping bag imo. Training strength till my mate gets online. Well done, very nice blog! I really enjoyed reading this, keep it up! Can has 98 farming plz? And the nickname Professor Snape. Hadn't done it before now because I didnt have money for brews/enough of my own brews. But now? Oh god. Exts + lots of brews = hopefully demolish nomad in the near future. Most importantly the summoning lvls (129 combat now!) and the herblore levels (as you see above, finished Seers Elite for my mad new toy). When I can get my patience levels back up, I'll get a helm or three. ROW update can fail in hell. Wish I had been online for some corping, but whatever. 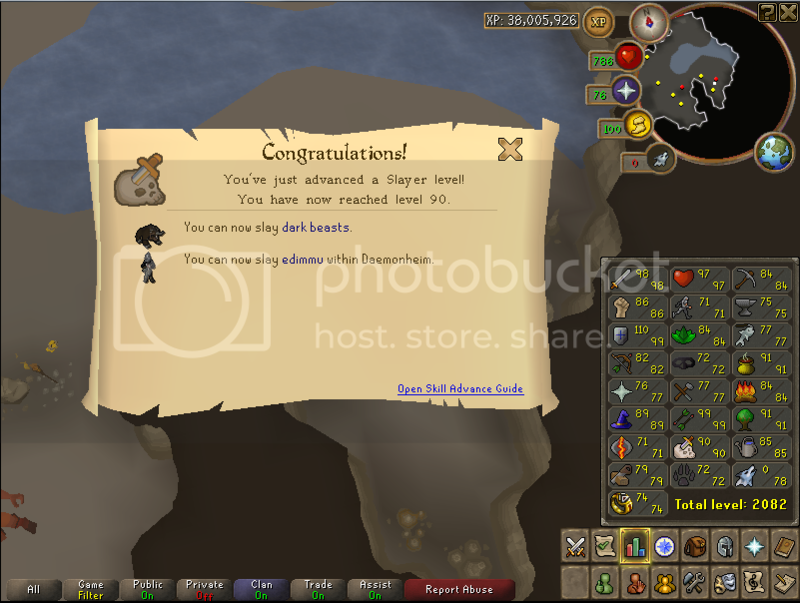 Slayer to 99 is back on. 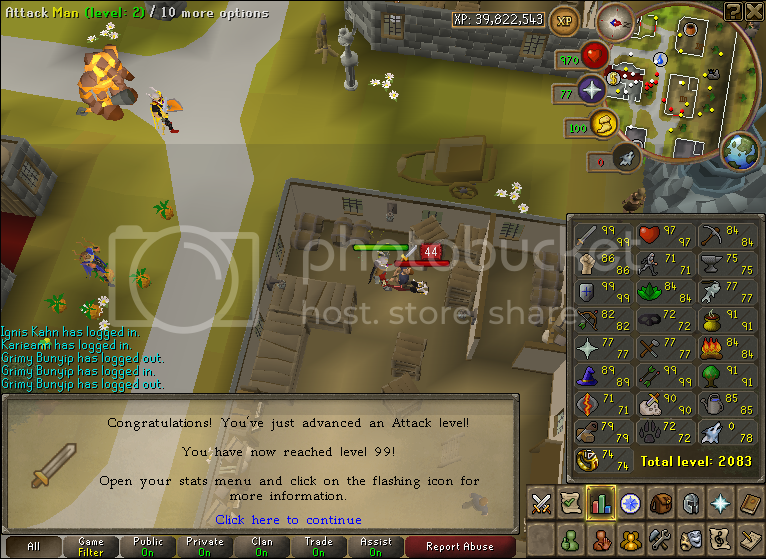 3/4 (01 cook, 93 herb, 97 fletch, had to get 95 farm assist) steps of the effigy done on my own as well. 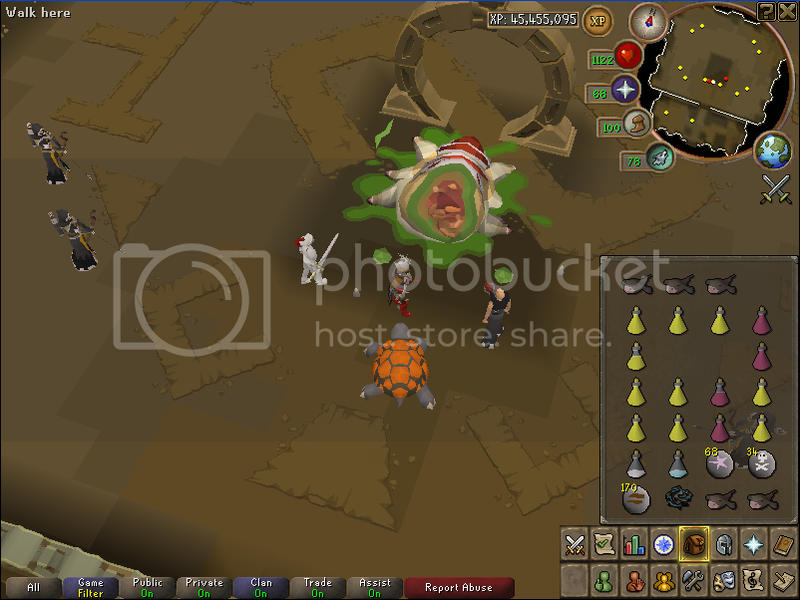 Very quick 90k xp (the lamp went to prayer, will get a lvl after pengies).